Who is Crystal Clarke? She’s another new cast member for Star Wars: Episode VII who was found when Lucasfilm conducted an open casting call last fall. The casting calls spanned 11 cities across the US and UK and over 37,000 hopefuls attended, with a further 30,000 submitting applications online. Her casting brings the number of announced female cast members to five, further putting to rest the non-issue of the lack of female characters in the new Star Wars. The cast was always going to be based on the characters that they’ve created, and not on anyone’s own personal agenda. Agenda based film-making is not film-making at all – it’s paint-by-numbers checklists that inhibit creativity by forcing everyone into a box. 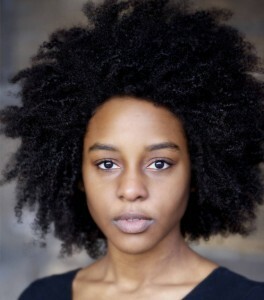 Crystal Clarke is an American actress studying in Glasgow, UK, who has both stage and screen acting experience and is soon to be seen in her first feature,The Moon and the Sun (to be released in 2015).